Warm Up OKUKAN delivers a traditional, generic karate warmup. The warmup might vary depending on the content of the class, as the muscles need to be ready for the type of drills they are going to learn. For example, sometimes the class is geared towards learning kicks, or towards learning a particular type of kick. Kihon The practice of karate basics, in place. Ido Kihon The practice of karate basics, whilst moving. Kata The practice of patterns, where karate drills integrate into a coherent, pre-established, imaginary fight. 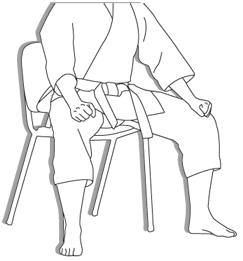 Kata is a rationalisation of self-defence. Ippon Kumite Self defence drills that typically come from the analysis of kata. Jiju Kumite Free sparring. Students may opt out of doing free sparring, without explanation. Karate is a great workout! Karate for adults is a great way to get fit and healthy! Regular exercise ensures we remain healthy, supporting our backs and prolonging health, not to mention making us feel generally inspired and motivated! Karate is great for stress release! Karate Builds a Balanced Body! Adult karate is a great all-round workout. Karate uses all muscle groups and a variety of concentric exercises, meaning that as muscles contract they also extend, giving that lean look, while also building strength and speed. Regular karate training and it’s aerobic training has been proven to slowdown the deterioration of cognitive functioning in old age. Evidence shows that the combination of aerobic exercise and movements requiring coordination and balance, maintains or improves cognitive functioning. Studies have found karate helps to enhance attention, resilience and motor reaction time, proving that five months of regular karate training yields ‘a significant improvement in motor reactivity, stress tolerance and divided attention’. Longer karate training periods produce even better results, which means regular, sustained training is even healthier that one might think. Written histories suggest that during the decades of development of karate systems, martial arts responded to a real need for safety in Okinawa, within nobility and among lay people alike. 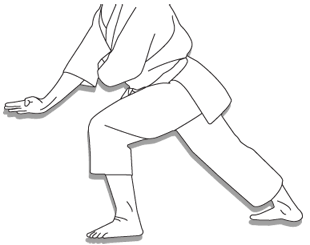 Shitoryu in particular was born out of the effort of its founder to define a type of karate that was primarily effective in real combat situations, often close distance and sometimes with an armed opponent. After the passing of Grandmaster Kenwa Mabuni, his students and his son Grandmaster Kenei have continued to investigate and perfect self-defence applications that are based on the technical and tactical principles of simplicity and effectiveness. In Shitoryu every movement has a practical function. Repeating Shitoryu movements over a substantial period of time results in the practitioner becoming a proficient warrior of the ’empty hand’ (‘kara’ translates as ’empty’ and ‘te’ hand). At a conscious level, the practice of karate is a learning challenge to attain coordination, precision, physical balance, strength, etc. In this sense, karate gives a personal sense of accomplishment for being able to learn a skill. At a less conscious level, karate challenges attitude and behaviour by promoting a sense of humility, ethics and self-discipline, through the role-based social structure of the dojo. 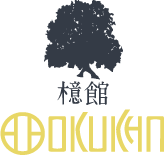 The dojo’s social system demands trust and respect toward a teacher, and new students naturally develop admiration toward assistants and advanced students. Self-development occurs as a result of the karate student’s ‘readiness’ to learn, given this social structure. At a subconscious level, karate promotes concentration, internal power, self-awareness and self-knowledge. Students learn to breath and to meditate in karate. 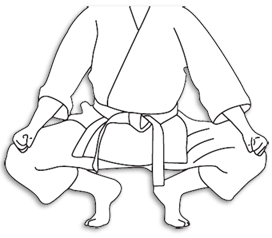 At the beginning and at the end of karate lessons, students sit to meditate. At an advanced level, karate movements provide the structure to practice meditation in movement. At its best, karate is, as masters have stated over and over before: a way of life.